The 2018 MLB draft wrapped up on Wednesday with rounds 11 through 40. Here are some highlights from the Phillies' day of picks. With their first pick of the third and final day of the 2018 draft, the Phillies selected right-handed pitcher Jack Perkins out of Stetson University in the 11th round. This year, in his junior season, the 20-year-old sported an 11-2 record with a 2.34 ERA, two complete games and a 9.2 K/9 mark in 17 games. Listed at six-foot-three, 218 pounds, the Florida native was named to the pre-season All-ASUN conference team this year. Last summer in the Cape Cod league he notched a 0-4 record with a 5.93 ERA in seven starts. Righty hurler James McArthur was the Phillies’ 12th round selection. McArthur was a teammate of Lakewood pitcher David Parkinson at Ole Miss, before the former was drafted by the Phillies in the 12th round last year. The six-foot-seven 235-pounder made 16 starts for the Rebels this season, tallying a 6-1 record, a 4.48 ERA with a 7.9 K/9 mark. The Texas native’s dad, Greg, played four seasons of minor league ball in the Orioles system. With their 13th round pick, the Phillies drafted Jose Mercado, a shortstop out of the Carlos Beltran Baseball Academy in Puerto Rico. The slick fielding 18-year-old is a righty batter. The Beltran Academy is the same school that produced Phillies AA outfielder Jan Hernandez. Jesse Wilkening, a catcher, was the Phils’ 14th round pick out of Nebraska. The righty batting 21-year-old is an Indiana native. In 31 games this year, he sported a .310 batting average with four home runs and 32 RBI. He was named to the second team All-Big Ten team this year as a junior. Wilkening was a 28th round pick of the Diamondbacks out of high school in 2015, but didn’t sign. Right-handed pitcher Daniel Carpenter was taken in the 15th round out of Martin Luther King High School in California. Matt Breen of Philly.com reported that Carpenter, an 18-year-old, was previously a catcher, but switched to the mound after a significant growth spurt added seven inches to his frame. In the 17th round, 1st round pick Alec Bohm’s college teammate from Wichita State, lefty pitcher Keyland Killgore was the Phillies’ choice. The 21-year-old appeared in 24 games this year, 23 of those in relief, posting a 4-1 record with a 2.54 ERA and a 9/2 K/9 mark. Killgore, a six-foot-three 175-pounder, red-shirted in 2016, so this year was his sophomore season. 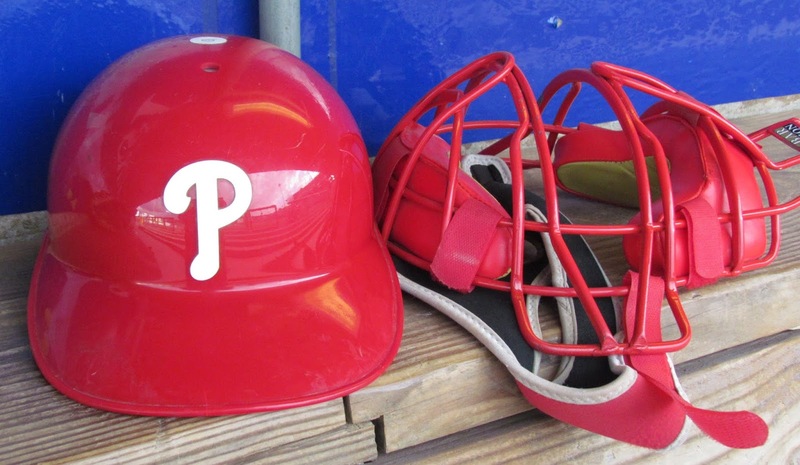 Round 23 saw the Phillies take a high school catcher Logan O’Hoppe. The 18-year-old righty batting Long Island native is committed to play at East Carolina. Not sure I need to say anything more about this young man besides these two things: He batted .511 as a senior this year and won his conference’s triple crown, per Breen/Philly.com. The Phillies took righty reliever Adam Cox in the 25th round out of Montana State University Billings. In 14 appearances this year, Cox posted a 1-1 record with six saves, a 2.54 ERA, a .189 batting average against and a remarkable 14.9 K/9 mark. The 21-year-old was named to the academic all-conference team three straight seasons. Previously a two-way player, Cox spent most of last year on the offensive side of the game, pitching in just two contests. In 2017, as a first baseman, second baseman and designated hitter, Cox batted .278 in 31 games. In his sophomore season in 2016, he was named to the second-team all-Great Northwest Athletic Conference as both a designated hitter and as a closer. Backstop Jack Conley was the Phils’ 27th round draft selection out of NC State. The 21-year-old righty batter posted a .333 average in 21 games this year in his junior season. Conley was previously drafted out of high school by the Red Sox in the 30th round. 30th rounder Brandon Ramey seems to be a teammate of 15th round selection Daniel Carpenter. The 17-year-old righty pitcher is listed at six-foot-three 180-pounds. University of Kentucky junior Ben Aklinski, an outfielder, was the team’s 32nd round pick. A JuCo All-American and Gold Glove winner, prior to transferring to KU, Aklinski is said to be an elite defender. The five-foot-11 210-pounder batted .304 with six home runs and 42 RBI and was error-free on defense in 56 games this year as a senior. Aklinski turned 22-years-old this week. Rutgers catcher Nick Matera was the Phils' 34th round pick. The 21-year-old Roxbury, NJ native batted .254 with five homers and 35 RBI in 48 games this year in his junior season. Complete 2018 Phillies draft listing can be found at this link.